Click IMPORT button to import your stock takings. This is typically useful if you have recorded stock takings in excel sheet. 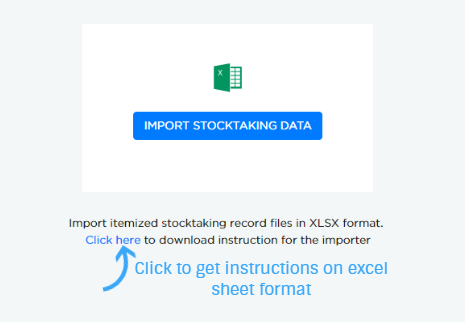 Click IMPORT STOCKTAKING DATA to upload the data. 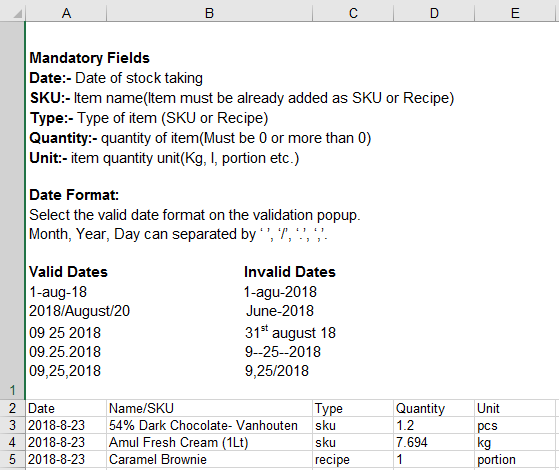 The excel sheet should contain columns for date, name, type, quantity and unit. Here you can confirm the date format of your excel sheet and type of stock taking by using dropdown. As shown above, 97 rows are found to be valid by the system. As shown in above example, "Teacher&apos;s" is not found in the SKU and hence that row is considered as a error. This error might be due to non entry of purchase for "Teacher&apos;s". Similarly, non entered recipes stocks will not be imported and system displays the error for such rows. Note: Make sure that all SKUs and recipes are entered before making a stock taking. 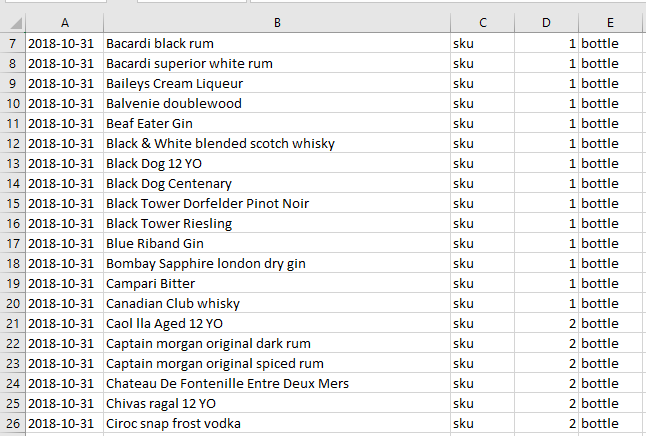 Click on Go to stocktaking list to view the imported items. 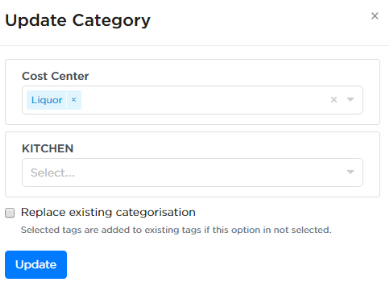 You have an option to tag the stocks under the required category by selecting the imported stocks as shown below. Now you see the stock is categorized.